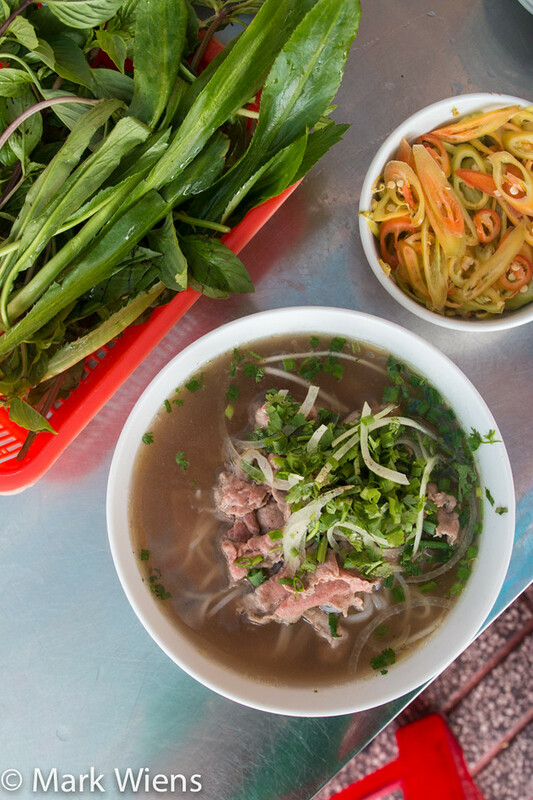 In Saigon (Ho Chi Minh City), just like with banh mi, you’ll have a hard time walking more than a block or two without stumbling into the next pho restaurant. And sometimes you’ll smell it before you see it. 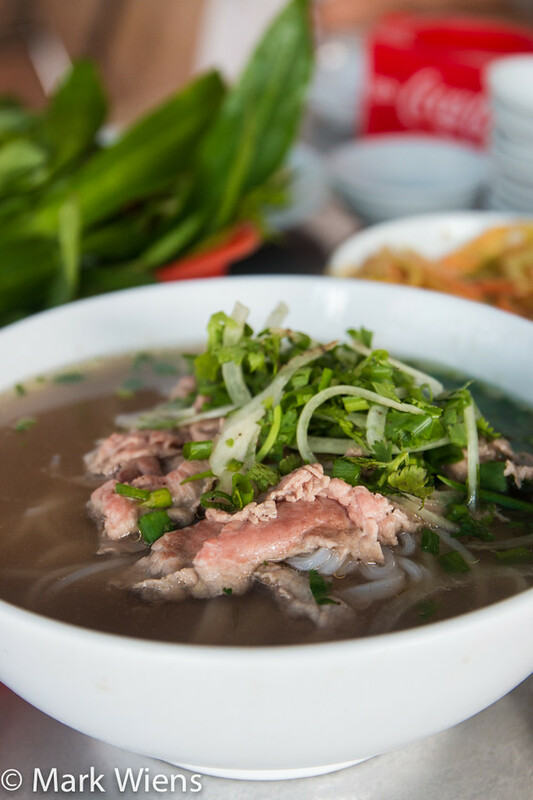 Though it originated in northern Vietnam under the influence of the French, pho is another noodle soup that has now fully adapted into southern Vietnam as well. 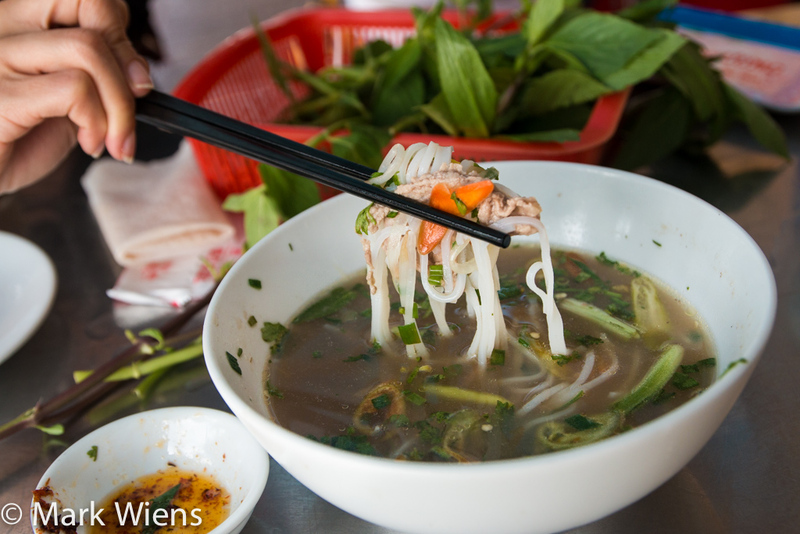 Before we get started I have to say that there are a lot of other noodle soups to eat in Vietnam, many that I prefer over pho, and so I didn’t eat pho that many times when I was in Saigon. But that being said, I wasn’t going to miss a few bowls of pho either, and the search for a delicious bowl one day led me to a place called Phở Phượng 25, a recommendation I got from the fantastic website, Vietnam Coracle. 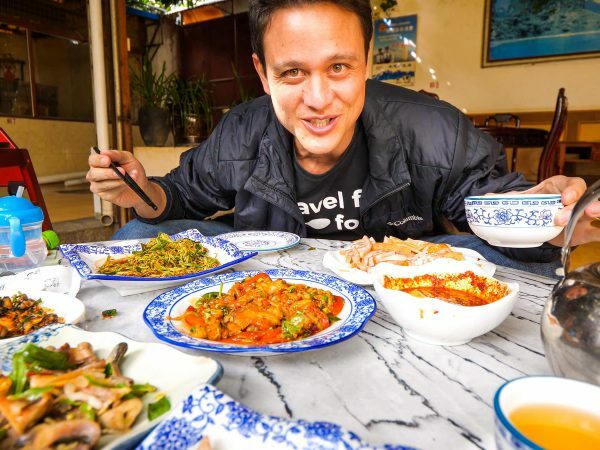 When I asked what to eat in Saigon on a video on YouTube I received many kind suggestions of restaurants, including places like Pho Le, Pho Pasteur, and Phở Phú Vương. Unfortunately I couldn’t make it to all of them, but if you have more time in Saigon, and want to further explore pho, those are some other great suggestions. While walking up to the restaurant, I could actually smell the aroma of the broth from across the street, the sweet fragrance of simmering beef and earthy herbs. I later learned, the family that owns and operates Pho Phuong 25 are originally from the north of Vietnam, and they are well qualified to handle the task of cooking and serving this important Vietnamese noodle soup. Pho Phuong 25 specializes in all types of beef pho, and I don’t think they had any other meats (sometimes chicken is available, but not here) on their menu. You can order pho bo, pho bac diet, and something I chose, phở tái, or pho with rare cooked beef. Just a few seconds after ordering, my piping hot bowl of beef pho was was sitting before me, and as I scrambled to take some photos, the aroma penetrated my nose with marvelous smelling steam. The noodles were placed at the bottom of the bowl, followed by thin slices of flash cooked beef, which remained half raw, then a handful of green onions and cilantro, and finally a few sprinkles of pepper to top it off. My first course of action, and probably the biggest reason I like to eat pho in the first place, is for the fresh herbs and garnishing ingredients that inevitably come as a result of eating pho, just like most other Vietnamese dishes. I plucked away at the sweet basil, sawtooth herb, and a few other herbs which I’m not even sure of what they were. Although you can choose to add sauces directly to your broth, I saw many local Vietnamese at Pho Phuong 25 adding chili sauce to their small side sauce bowls and then dipping bites of beef into the chili sauce, and so I followed suit. 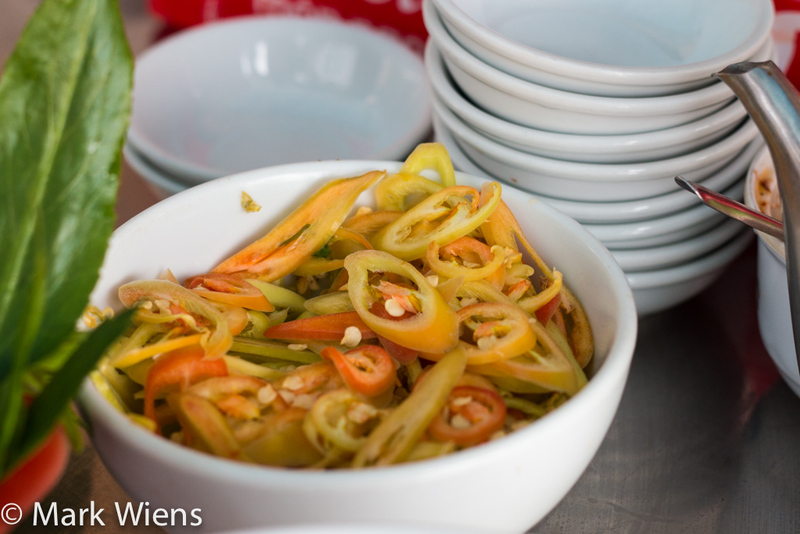 I can’t get enough of these pho chilies! For my first bite, I decided to go for a piece of the half pink beef, and dip it into the chili sauce. The chili oil sauce was richly flavorful, smoky, and I think it may have had a touch of lemongrass in it as it had a slight lemon fresh fragrance. Along with the soft tender beef, it was marvelous. The beef broth in the pho tai was cloudy and grey in color with a little oil floating on top. The broth was simple and smooth, with a flavor that tasted like it had been born as a result of hours of simmering bones, and just a hint of spice, almost cinnamon. The broth wasn’t too salty, but it was a little on the sweet side. I guess I would have preferred it to be a little less sweet overall, yet it was still very good, and the flavor was rich and complex. The noodles were incredibly soft and slurpy, just like every other bowl of pho I had when I was in Vietnam. The noodle went down so easily, they almost slipped down, with barely even a chew. 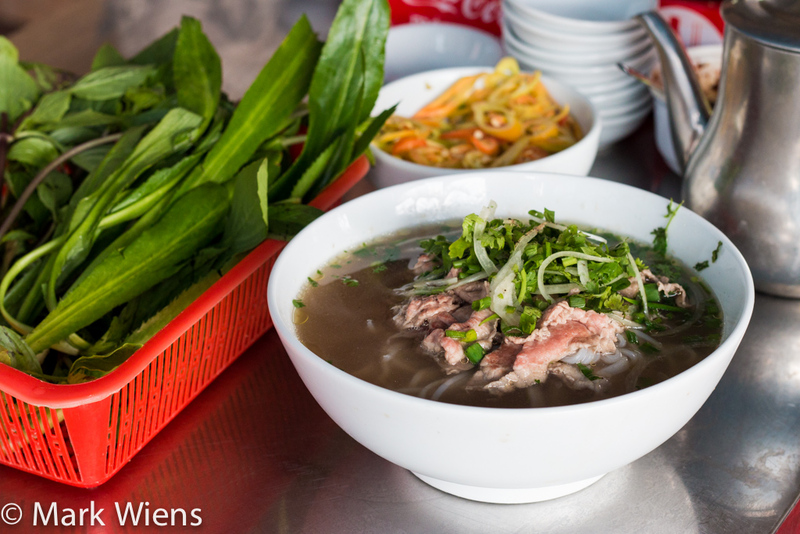 Pho Phuong 25 is one of the many famous restaurants in Saigon to enjoy a bowl of beef pho. I didn’t even come close to sampling all the most well known pho restaurants in the city, so I have no idea if this is the best pho in Saigon or not, but I can say that it was very good. 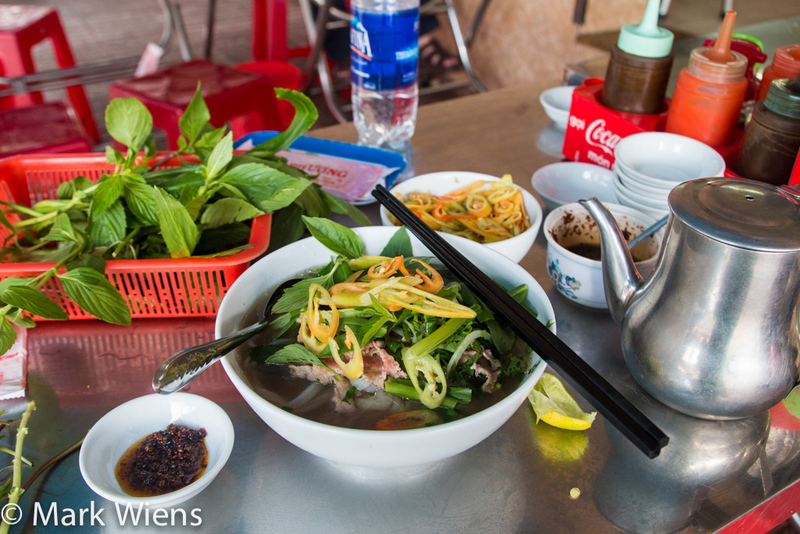 The broth was a little on the sweet side for me, but it was extremely flavorful, a nice ratio of beef and herbs. Another thing I liked about Pho Phuong 25 was the atmosphere, housed inside, and outside on the sidewalk, of a corner shophouse style building, open air, and with the aroma of beef broth filling the entire area surrounding the restaurant. 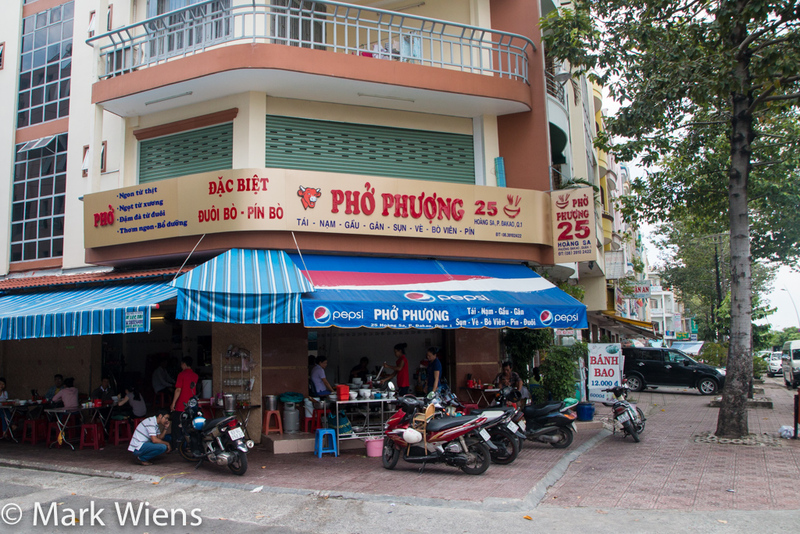 Pho Phuong 25 is located just down the street from one of the most famous street food restaurants in Saigon, so you can eat at both places in a row. 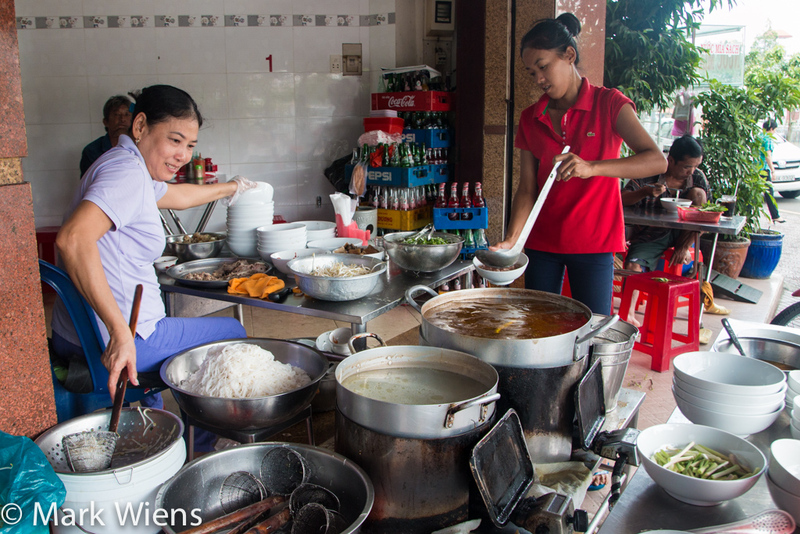 How to get there: Phở Phượng 25 is located in a nice leisure neighborhood, just a five minute walk from the Saigon Zoo, and just down the street from the famous Lunch Lady. a place that has a seperate foreigner menu. 75k for a large and 55 for a small. A rip off. Nothing special, just normal good pho that is whipped up by countless vietnamese restaurants in Australia. I pay $7 in Australia and $5 at Pho Phuong 25. Certainly not worth it. 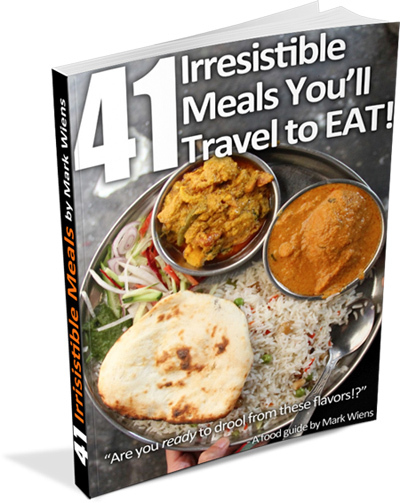 I really like your blog so far as Thai and Vietnamese food are two of my favs! As of July 28, 2015 I ate at this place and they charged 48,000 dong for a bowl of Pho Tai. I think they are steadily increasing the price because of foreigners stopping by. I’d avoid this place for now. The Pho is ok but definitely not worth the 30-40% cost inflation for what you can get elsewhere for a bowl of Pho. Hi David, hmmm, thanks for the update and sorry to hear about that. it look so delicious. Thank for your very detail information. I will try Pho bo at Pho Phuong 25 for sure when I come to Hochiminh city. Good to hear that Phoebe, enjoy! Today I was so lucky because I met a Vietnamese girl. She told me that : ” The more famous the restaurants are, the more decreasing the food quality is and the price, of course, will be higher and higher”. That is totally a new tip for me. She also suggested some street food to me. I hope that I can show you guys. Oh and I think that you should make friends with some Vietnamese people. I think that is better if they are students. ( Because the girl whom I met today is a students, and she loves food just like me. hahaha ….) 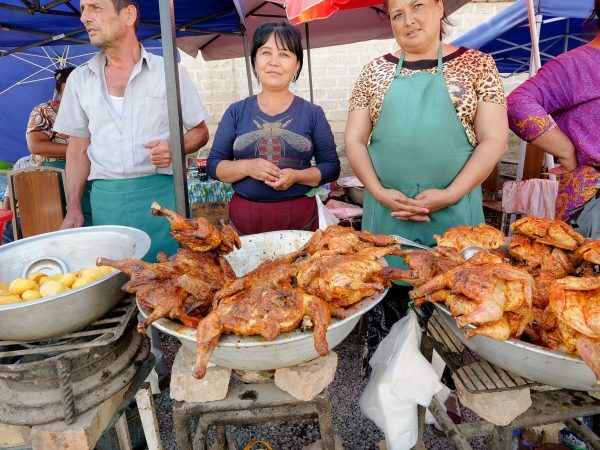 They will show us more street food and some good restaurants with the better qualities. Thanks for sharing Christine, sounds like you’re having an excellent time in Vietnam. Keep enjoying the food and happy street food adventures! Thank you a lot for your sharing. 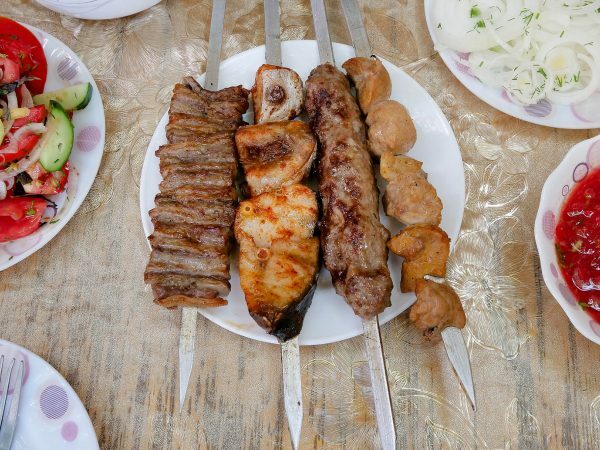 I can know more clearly about my country’s famous food through your blog. :). Places. There is one place called Pho Le on Nguyen Trainstreet that, in my opinion, is the best! 50,000vmd for a small bowl! Two tips that have kept me in good stead throughout my travels that I’d like to share with you are these: Eat where the locals are eating. Look for food that you can see being cooked. I really want to try the pho chillis! Thanks Anita, they are surprising quite spicy, and really flavorful. That dish looked oh so yummy.